Estonian Bacon pigs, as one would guess, are meat pigs from Estonia and the source of excellent bacon. 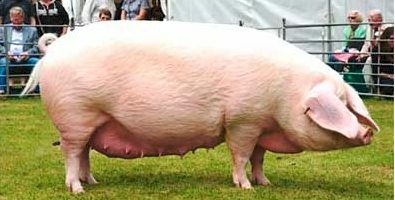 They were developed from local landrace pigs crossbred with German, Danish, and Swedish landraces. They look similar to the Danish Landrace pigs.